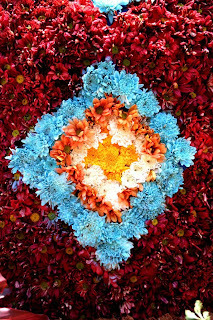 A warm and friendly greeting derived from the Dabawenyo word "dayaw" that means good, valuable, superior or beautiful. Such is "Kadayawan," a celebration of life, a thanksgiving for the gifts of nature, the wealth of culture, the bounties of harvest and serenity of living. 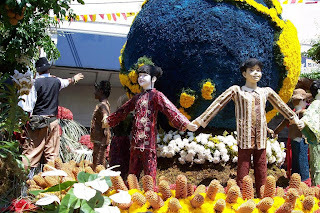 Today, Kadayawan has metamorphosed into a festival of festivals, the mother of many other fesivals in the region as it honors Davao's heritage, its past personified by the ancestral "lumads", its people as they celebrate on the streets, and its floral industry as they parade in full regalia in thanksgiving for the blessings bestowed on the city. The festival began from a government-initiated program called “Unlad Proyekto Davao” in 1986, planned to unite the Davaoeños after the chaotic martial law years and to showcase the city as a peaceful and colorful place to visit and do business in. At the time, it was called “Apo Duwaling,”a name created from the icons Davao was famous for: Mt. Apo, the country's highest peak; durian, the king of fruit s; and waling-waling. The queen of orchids. Davao is also home of the majestic Philippine eagle, the national bird. 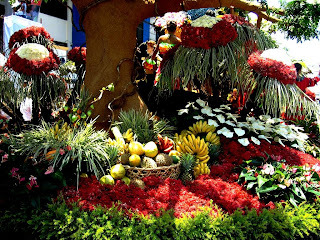 In 1988, the festival was renamed “Kadayawan sa Dabaw” by Mayor Rodrigo Duterte to celebrate the city's unique wealth in flowers, fruits, and ethnic culture.